Shopping for Iron Man Film Cells? Film cell based on the action-packed Iron Man 2 movie! The Iron Man 2 Series 3 Mini Montage Film Cell contains actual clips of the film and portrays memorable images and scenes, all on a stunning descriptive plaque. These elements have been mounted and placed within a beautiful black wood frame measuring 13-inches tall x 11-inches wide. 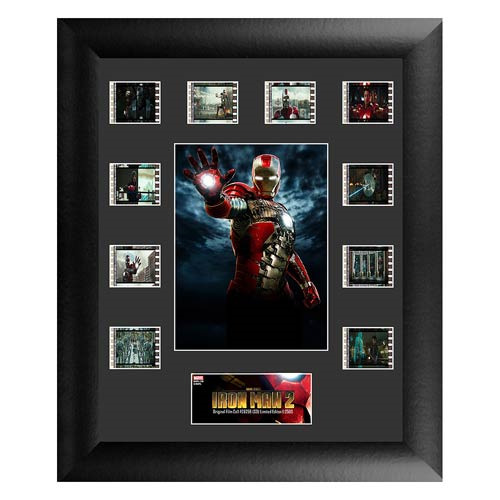 The Iron Man 2 Series 3 Mini Montage Film Cell is limited edition of 2,500 pieces.